Centers are seriously my best friend. 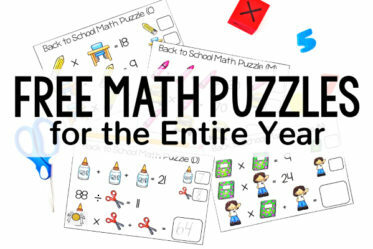 If you follow my blog, you know I love them in math and use them on a regular basis. Well, you may not know that I also really love using them in reading, too. 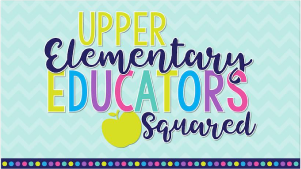 This post will focus specifically on the reasons for doing reading centers in upper elementary (if you are still on fence about them). 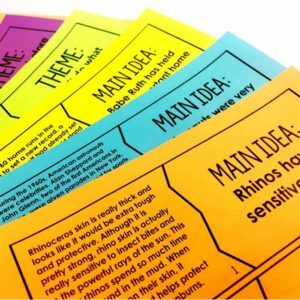 This post does include a FREE reading center to try out with you students, but if you want even more ideas click here –> Reading Centers for Upper Elementary. I don’t know about you but sometimes the reading skill or strategy I teach in my mini-lesson just doesn’t mesh well the Dairy of a Wimpy Kid book (or insert any other high-interest but not always challenging popular book) that my students are reading. Sometimes, you really just need to give the students a common text (or paired text set) to allow them to practice the new strategy in a way that make sense and truly aligns with the text. No forcing a strategy to work with every book or forcing all the students to read a certain type of book for their choice book. One of my go-to reading centers is definitely one that incorporates a reading passage that I have intentionally selected to allow the students to practice the skill we are currently working on (or to even spiral review older reading skills). Need some skill-based reading centers? 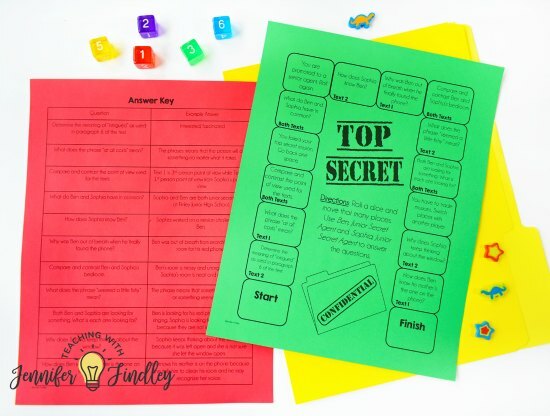 Click here to see the reading centers and games I have in my store that come with texts and align perfectly with the skills and standards I teach. One of my favorite reading centers is an informational center that ties in with our social studies and science content. I love having an informational reading center because most of my students choose fiction books as their book of choice. Having an informational center (or other genre center) exposes the students to types of books they may not otherwise read themselves. Students love talking about the books they are reading. Stick a partner reading center in your daily reading centers and let those students share what they are reading with one another. You can have the students read their chosen book, a common text, or even just have them discuss their daily reading. I have a great partner game for getting the students to talk about their books that you can download for FREE right here. This is huge for many 4th and 5th grade students. Unfortunately, some students just can’t maintain engagement in their books without some type of collaboration or other activity that appeals to them. And let’s be real, when you have 30+ students in your classroom who have come to you with years of poor reading behaviors, you need to engage them in reading and you need to engage them quickly. Reading centers, particularly those that involve collaboration and choice, will instantly increase their engagement and even increase their enjoyment with reading. When students are asked to spend their entire independent reading time on one task (independent reading), some will waste that time by getting distracted or by talking to their peers (and not about what they are reading). If the students are participating in reading centers that allow them to still read but in a more engaging format, they will be on task for a much longer percentage of time. Everyone knows that the more a student spends on task, the less behavior problems occur. 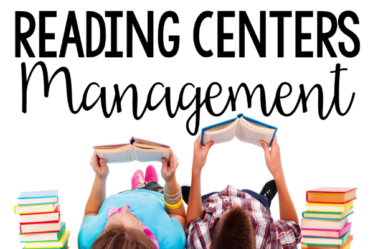 Speaking of behavior problems, read my best tips (and grab some free checklists) for managing reading centers by clicking here. Reading centers in upper elementary classrooms definitely don’t have to be complex or too much prep on the teacher. In fact, I have created tons of reading centers that my students love. 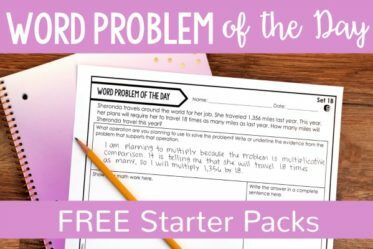 They are minimal prep, student approved, and full of content. In fact, I have one for you today to try out with your students. This reading center is one of my new favorites. 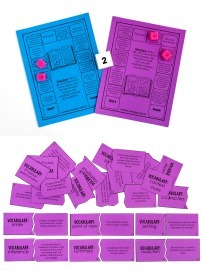 It has two paired passages with a game board full of text dependent questions. I recommend the students visit this center 2-3 times a week. The first few times they will need to focus on reading and discussing the passages. Then, they can dive into the game itself. I have also included an answer key so they can monitor their learning and understanding. 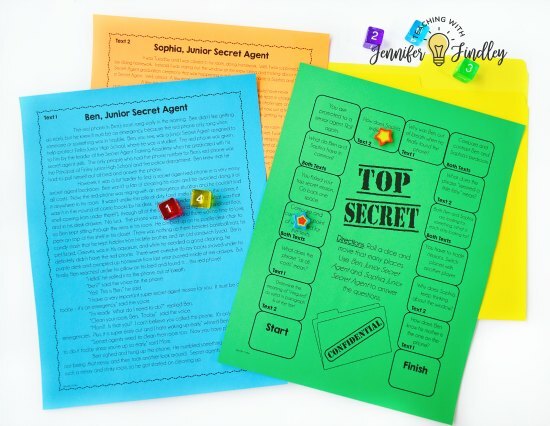 Another option is to read the passages as a small group or whole group and then have the students play the game in a center. Enter your email to join my email list and have the FREE paired passage game sent straight to your email! You're in! Now, check your email to get your free reading center! Send me the free game! Click here if you want to check out the entire set of paired passage centers! 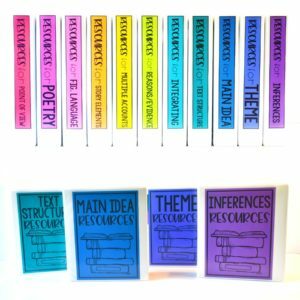 If you are needing more ideas for reading centers, click here to read about TEN reading center ideas that are rigorous and engaging for upper elementary! 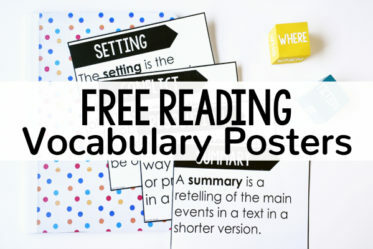 Want even more variety in your reading centers? 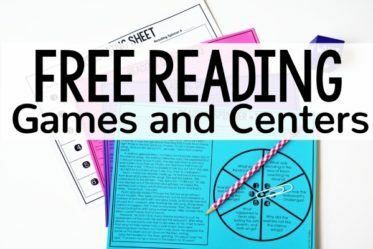 Click here to read a post with THREE more of my favorite reading centers (better suited for specific skill review) and get free ones to try out. 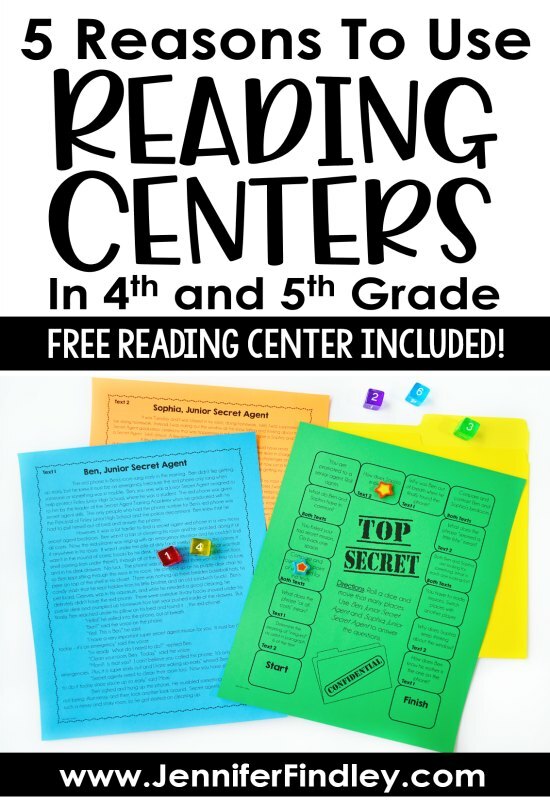 Do you use reading centers with your upper elementary students? Do you have another reading center that you use and love? I would love to hear about it in the comments. 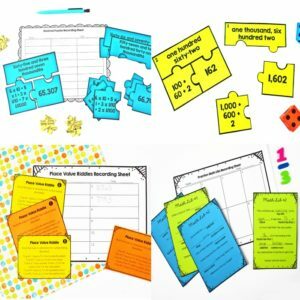 If you are interested in reading about math centers, click here to check out all of my blog posts about math centers. P.S. This post was originally part of a Planning Presents Series (a collaboration with Ideas by Jivey). 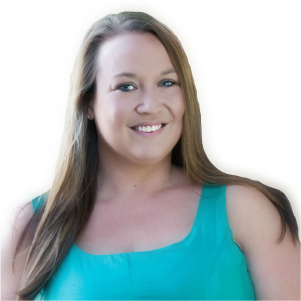 So make sure you to head over to Ideas by Jivey to grab her reading freebie, too! Thank you for the free resource! I am eager to try this with my students. Where do you find all of your standards-based passages? I would use them everyday in a center if I could find them consistently! Thank you very much!!! I love your site!